New world cool climate Shiraz starts here. Heady black plum fruits and pretty violet aromatics interlaced with liquorice spice and nettle undergrowth. The heavier clay based soils produces wine dark fruits and spice, chewy tannins creating the framework to support the fruit and savoury undertones. Hand harvested, bunches across a sorting table and destemmed with no crushing to retain whole berries. Fermentation in the Yarra Yering half-tonne open-fermenters, hand lunged twice daily. High use of stalk baskets to increase stalk tannins, structure and interest. A component of 100% whole bunch fermentation as well as some 20% whole bunch fermentation help to give some volume and plushness to the fruit palate. Air bag pressed to release the last fermenting juice form the many whole berries remaining. The wine then aged for 12 months in French oak puncheons (500L) only 30% new oak. 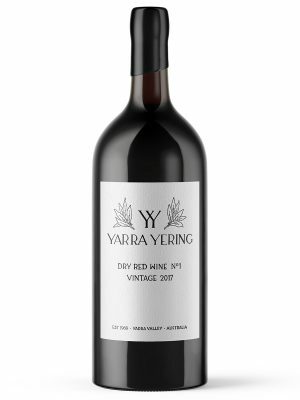 Vines: 1973 planted 8 acre block of Shiraz at the western extremity of the Yarra Yering vineyard. 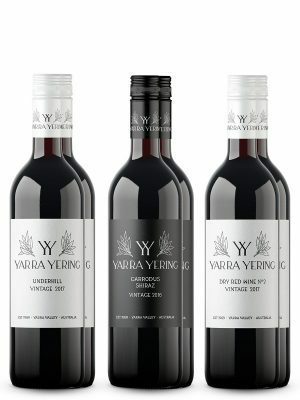 Cellaring: One of the Yarra Yering wines to give itself up sooner rather than later it will often look wonderful at 5-10 years of age. This vineyard has a proven pedigree and it will continue to evolve for many more years under suitable cellaring conditions should you want to leave it for 10+ years.